Born in Salt Lake City, UT in 1975, Hadley Rampton spent a good deal of her childhood recreating in the Utah wilderness, the Teton/Yellowstone area and in Eastern Idaho and Southern Montana. In short, a love for the outdoors developed at an early age. When not playing in the mountains and deserts, she engaged in other loves; that of dance and visual art. Rampton studied Ballet from the age of four to fourteen years. At the age of nine, she enrolled in visual art classes at the Visual Art Institute. By the age of 12 she was figure drawing and painting in oil. During her senior year of high school at Rowland Hall St. Mark’s, Rampton studied AP Studio Art, receiving a 5 (highest score) on her portfolio. Upon graduating, she was awarded the George Fox Award for Outstanding Achievement in Fine Arts. Not surprisingly, Rampton knew it was Fine Art, specifically Painting and Drawing, that would be her focus of study as she enrolled at the University of Utah. Due to her high level of academic achievement, she was also accepted into the University of Utah’s Honor’s Department. During her junior year, Rampton studied for a semester in Florence, Italy, focusing on Studio Art and Renaissance Art & Architectural History. 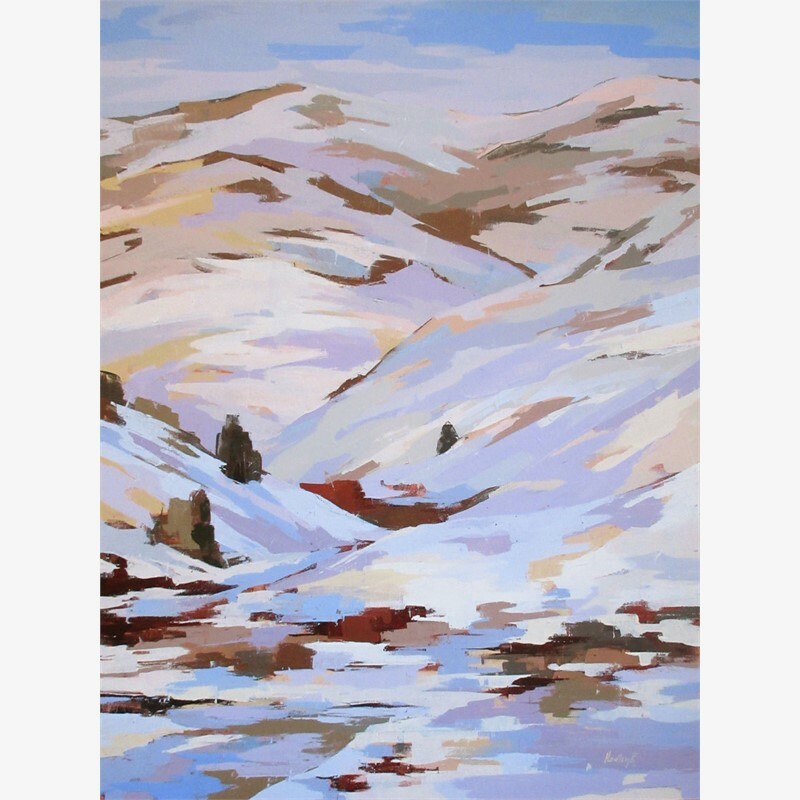 In 1999, she graduated from the University of Utah with an Honors BFA in Painting and Drawing and a minor in Art History. Rampton began painting professionally almost immediately after graduation. 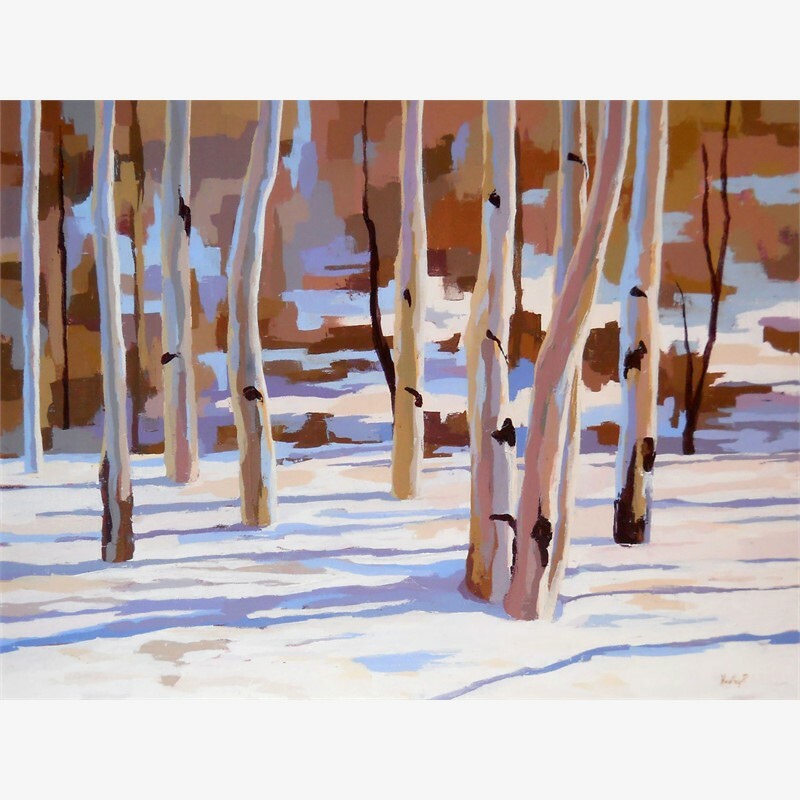 Although her subject of focus in high school and college was the figure (perhaps due to her love of dance), early in her professional career she was drawn to venturing outside and into the landscape she had always loved. There she has remained. Rampton works en plein air (in the open air) whatever the size of canvas may be, thereby combining her passion for the outdoors with that of painting. 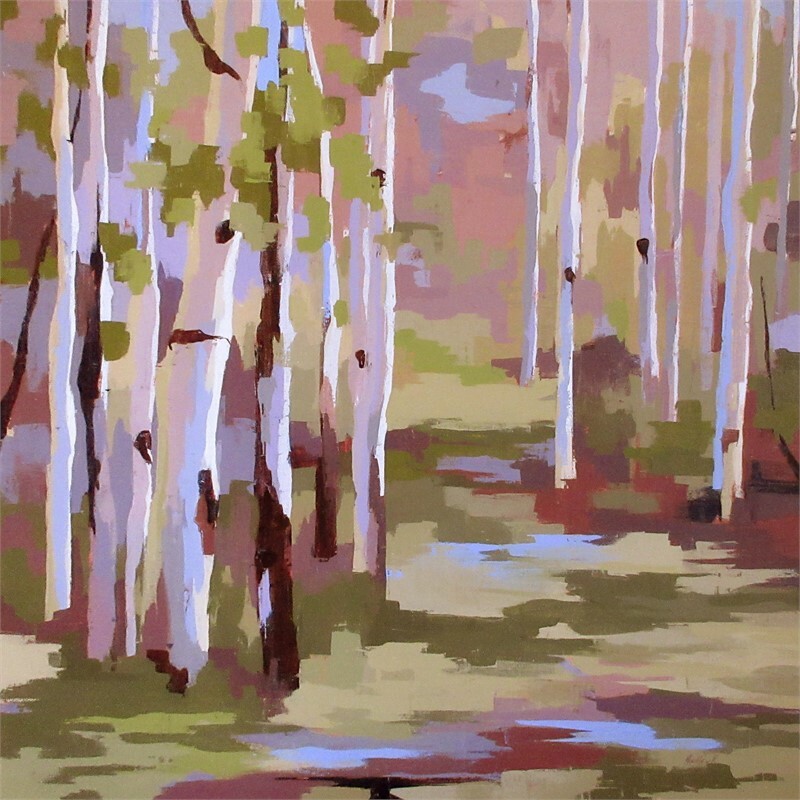 During the course of her career, Rampton has exhibited in several one and two person shows in addition to many juried exhibitions and invitationals within and out of the state of Utah, including Zion National Park’s Plein Air Invitational, Willard Art Center’s National Juried Competition in Idaho Falls, Utah Arts & Museum’s Statewide Annual Exhibition: Painting & Drawing in Salt Lake City, UT and Springville Museum of Art’s Annual Spring Salon in Springville, UT. 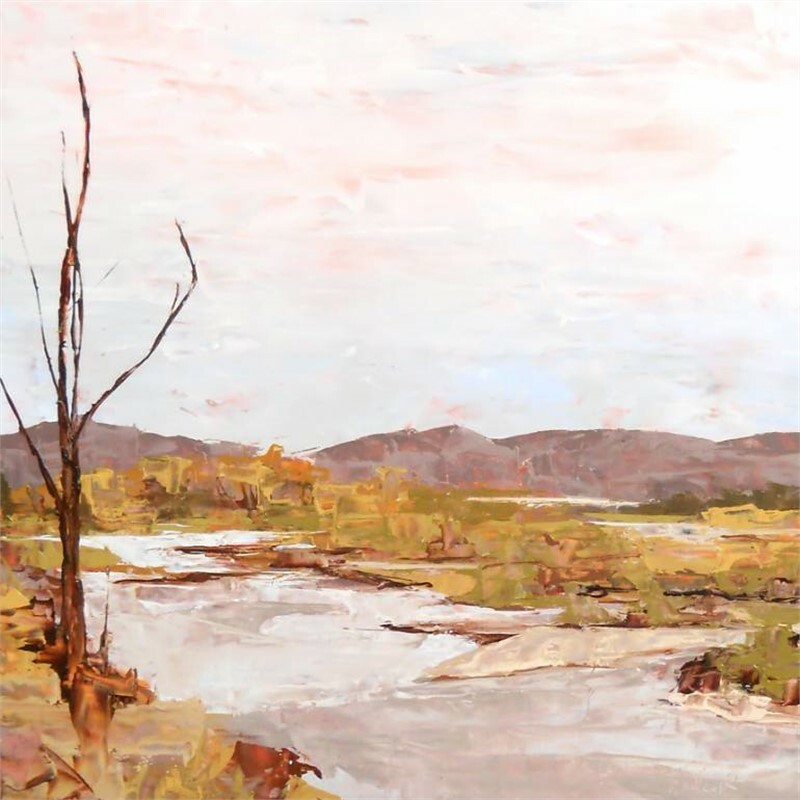 She has been written up in such publications as Plein Air Magazine, Studio Visit, Western Art & Architecture, Fibonacci Fine Arts Digest and Judson’s Plein Air Journal. 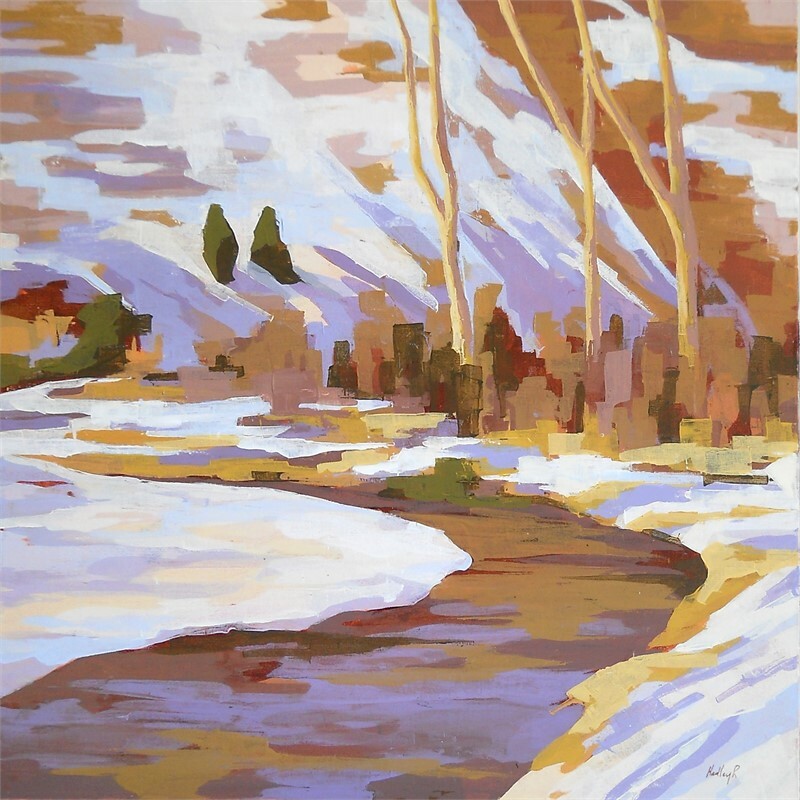 Her work is collected nationally and internationally and can be found in the collections of the Yellowstone Club, Big Sky, MT; the Wallace F. Bennett Federal Building, Salt Lake City, UT; Aspen Traditional Rehab, Meridian, ID; the Law Firm of Preg, O’Donnell & Gillett, Seattle, WA; Hutchison & Steffen, Las Vegas, NV and Jones Waldo, Holbrook & McDonough, to name a few. In addition to pursuing her fine art career, Rampton works as a Fine Art Consultant at Phillips Gallery in Salt Lake City, UT, serves on the Board of Trustees for Utah’s Repertory Dance Theatre and is a regular juror for the Utah Art’s Festival. Some tell me I’m crazy for painting in the mountains in the dead of winter, or for battling swarms of biting flies in summer. And yet, there I stand for hours, working, feeling there is nowhere else I would rather be. I’m energized by the challenges and beauty of nature, by the dynamics of light, atmosphere and temperature in the Rocky Mountains and in the deserts of the southwest. The changes in weather that occur while I’m painting do not bother but thrill me. A storm welling on the horizon, gaining momentum, and catching me in its fury is exhilarating. Even the same location can time and again leave me with a sense of awe. Some days I work with great energy, slapping paint with a palette knife, dripping turpentine and then pushing around the thinned paint or letting the drips create patterns of their own. Other days, I’m quieter, and my use of the palette knife is more controlled, as I attempt to honor the integrity of each stroke. I work on instinct more than thought, for instinct holds greater honesty and clarity. I begin by painting the actual scene before me, but as the painting progresses I delve into the personality of the painting, itself. A three way dialogue forms between the natural scene, the painting, and me. Which one speaks loudest changes from moment to moment, and, if any one becomes dominant for too long, the work can fail. It is the balance between the three that keeps me engaged. My paintings are a direct response to the environment and to my existence in it. 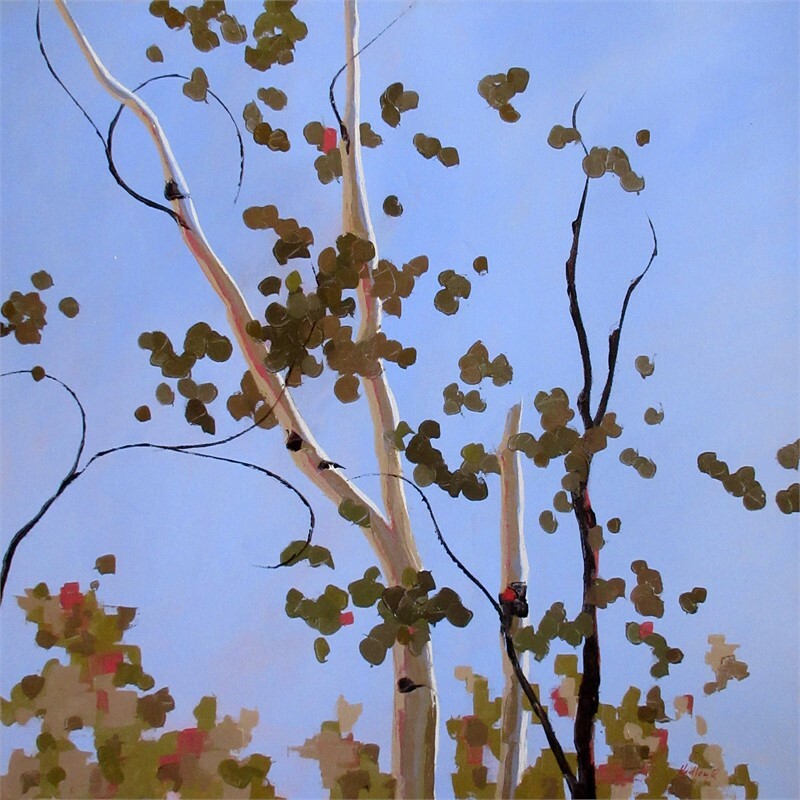 Plein Air Event Exhibition, Evergreen Fine Art, Evergreen, CO.
2008 “Hadley Rampton Presented by Wilkerson Fine Art at Wolf Creek Resort Gallery.” video, Ogden Valley Magazine.com., March, 2008. 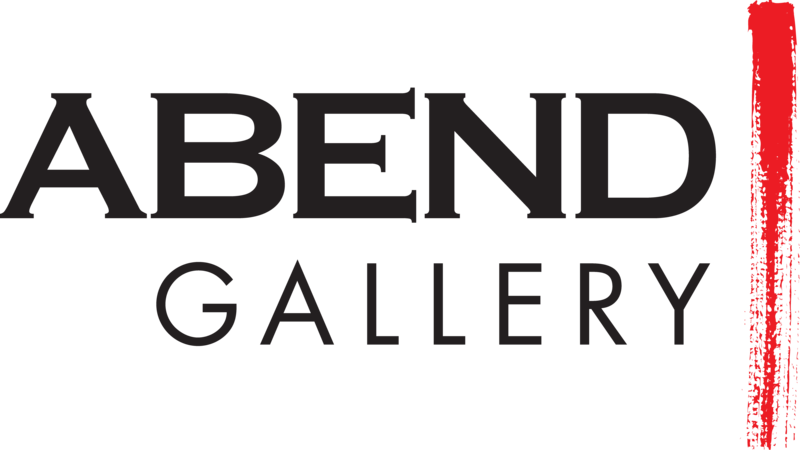 Private Collections in Boston, MA; New York, NY; Denver, CO; Boise, ID; Sun Valley, ID; Oakdale, CA; Las Vegas, NV; Seattle, WA; Anchorage, AK, throughout Utah. Born in Salt Lake City, UT in 1975, Hadley Rampton spent a good deal of her childhood recreating in the Utah wilderness, the Teton/Yellowstone area and in Eastern Idaho and Southern Montana. In short, a love for the outdoors developed at an early age. When not playing in the mountains and deserts, she engaged in other loves; that of dance and visual art. Rampton studied Ballet from the age of four to fourteen years. At the age of nine, she enrolled in visual art classes at the Visual Art Institute. By the age of 12 she was figure drawing and painting in oil. During her senior year of high school at Rowland Hall St. Mark’s, Rampton studied AP Studio Art, receiving a 5 (highest score) on her portfolio. Upon graduating, she was awarded the George Fox Award for Outstanding Achievement in Fine Arts. 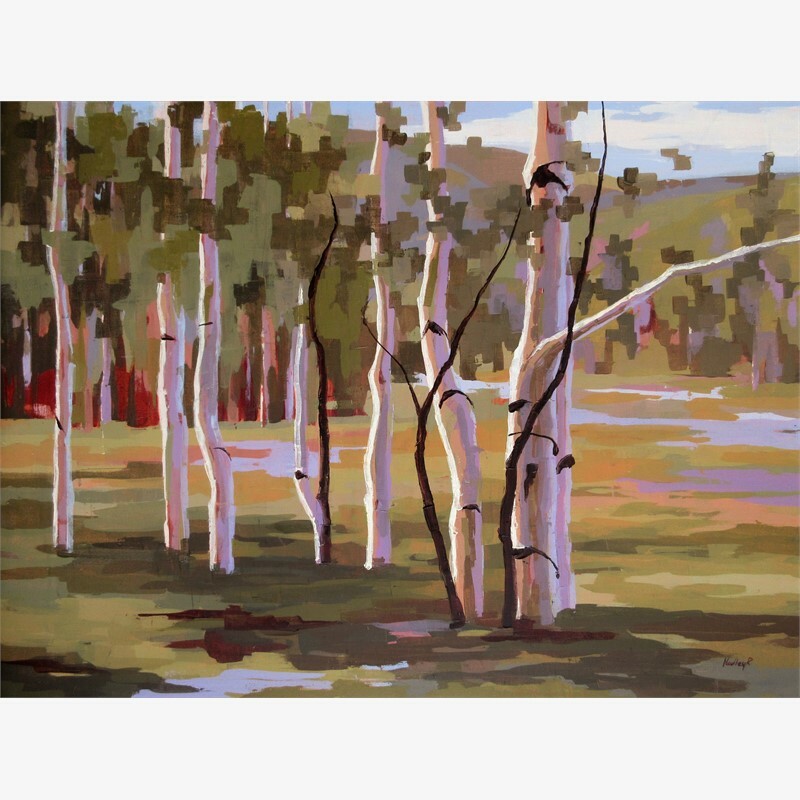 Not surprisingly, Rampton knew it was Fine Art, specifically Painting and Drawing, that would be her focus of study as she enrolled at the University of Utah. Due to her high level of academic achievement, she was also accepted into the University of Utah’s Honor’s Department. During her junior year, Rampton studied for a semester in Florence, Italy, focusing on Studio Art and Renaissance Art & Architectural History. 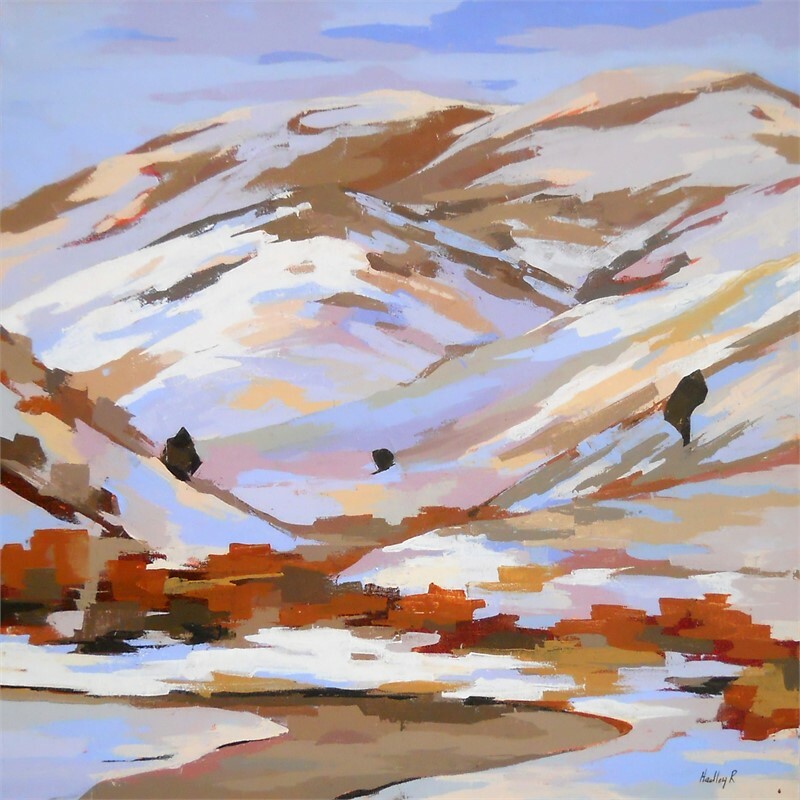 In 1999, she graduated from the University of Utah with an Honors BFA in Painting and Drawing and a minor in Art History. 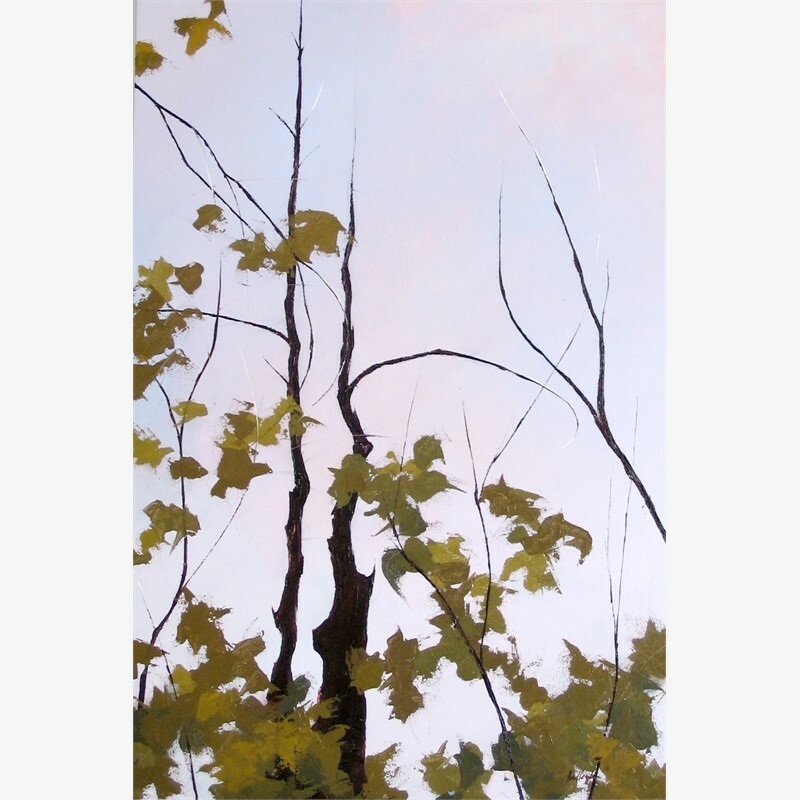 Rampton began painting professionally almost immediately after graduation. 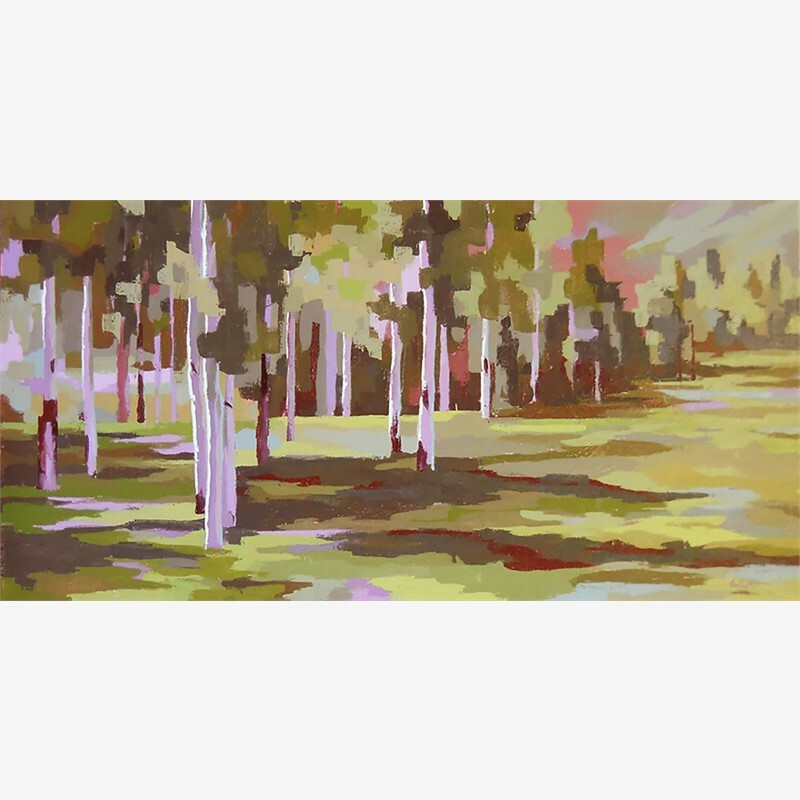 Although her subject of focus in high school and college was the figure (perhaps due to her love of dance), early in her professional career she was drawn to venturing outside and into the landscape she had always loved. There she has remained. Rampton works en plein air (in the open air) whatever the size of canvas may be, thereby combining her passion for the outdoors with that of painting. 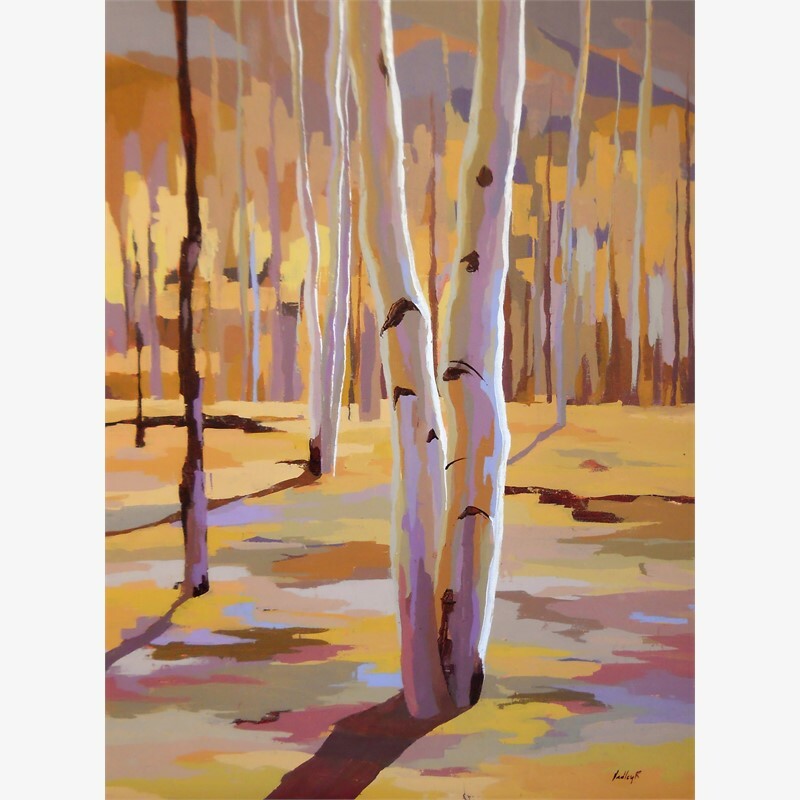 During the course of her career, Rampton has exhibited in several one and two person shows in addition to many juried exhibitions and invitationals within and out of the state of Utah, including Zion National Park’s Plein Air Invitational, Willard Art Center’s National Juried Competition in Idaho Falls, Utah Arts & Museum’s Statewide Annual Exhibition: Painting & Drawing in Salt Lake City, UT and Springville Museum of Art’s Annual Spring Salon in Springville, UT. 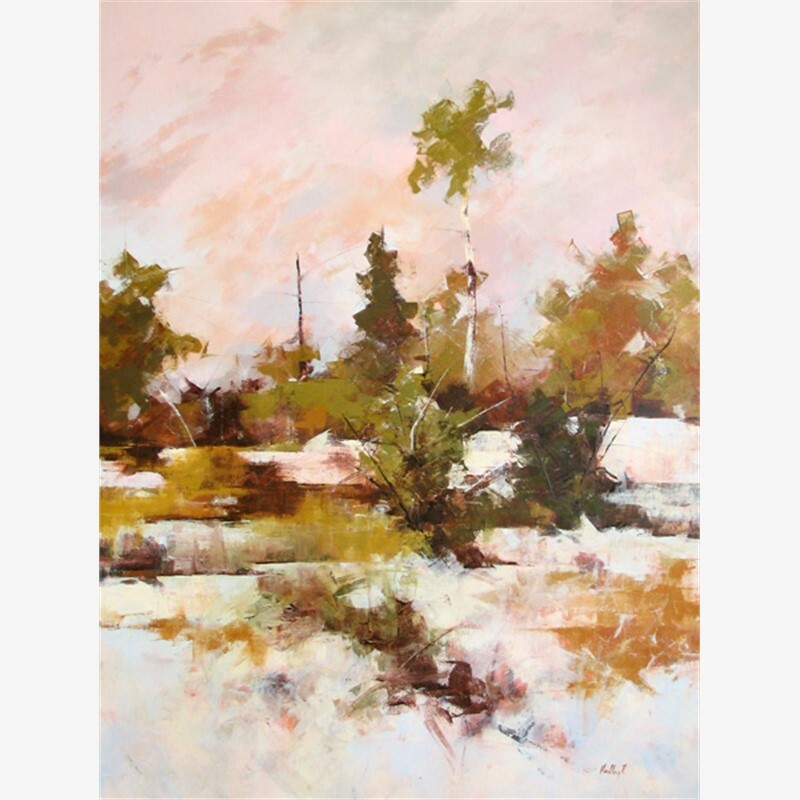 She has been written up in such publications as Plein Air Magazine, Studio Visit, Western Art & Architecture, Fibonacci Fine Arts Digest and Judson’s Plein Air Journal. 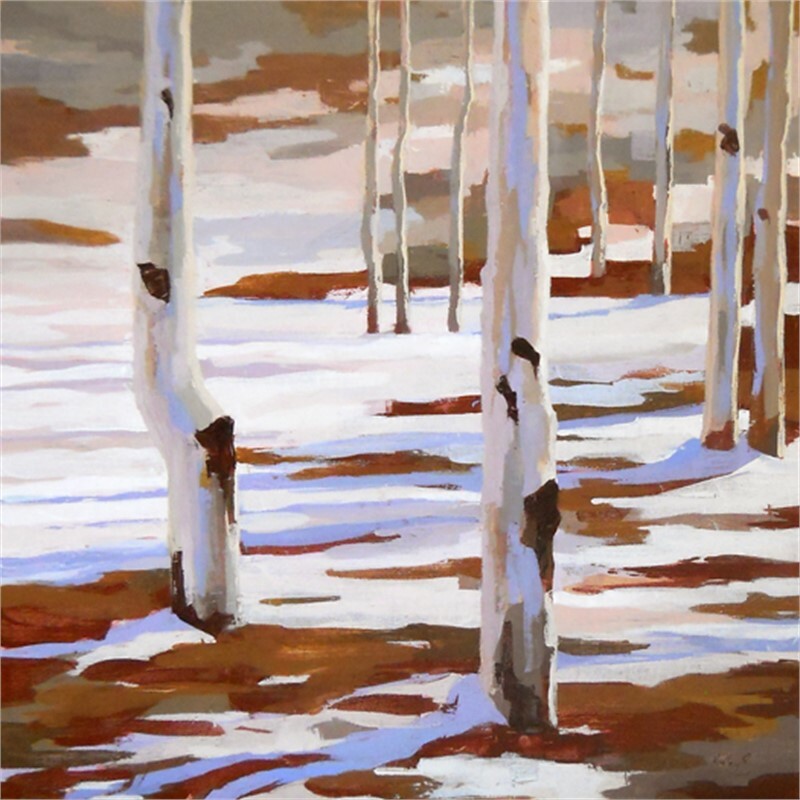 Her work is collected nationally and internationally and can be found in the collections of the Yellowstone Club, Big Sky, MT; the Wallace F. Bennett Federal Building, Salt Lake City, UT; Aspen Traditional Rehab, Meridian, ID; the Law Firm of Preg, O’Donnell & Gillett, Seattle, WA; Hutchison & Steffen, Las Vegas, NV and Jones Waldo, Holbrook & McDonough, to name a few. In addition to pursuing her fine art career, Rampton works as a Fine Art Consultant at Phillips Gallery in Salt Lake City, UT, serves on the Board of Trustees for Utah’s Repertory Dance Theatre and is a regular juror for the Utah Art’s Festival. Artist Statement Some tell me I’m crazy for painting in the mountains in the dead of winter, or for battling swarms of biting flies in summer. And yet, there I stand for hours, working, feeling there is nowhere else I would rather be. I’m energized by the challenges and beauty of nature, by the dynamics of light, atmosphere and temperature in the Rocky Mountains and in the deserts of the southwest. The changes in weather that occur while I’m painting do not bother but thrill me. A storm welling on the horizon, gaining momentum, and catching me in its fury is exhilarating. Even the same location can time and again leave me with a sense of awe. Some days I work with great energy, slapping paint with a palette knife, dripping turpentine and then pushing around the thinned paint or letting the drips create patterns of their own. Other days, I’m quieter, and my use of the palette knife is more controlled, as I attempt to honor the integrity of each stroke. I work on instinct more than thought, for instinct holds greater honesty and clarity. I begin by painting the actual scene before me, but as the painting progresses I delve into the personality of the painting, itself. A three way dialogue forms between the natural scene, the painting, and me. Which one speaks loudest changes from moment to moment, and, if any one becomes dominant for too long, the work can fail. It is the balance between the three that keeps me engaged. My paintings are a direct response to the environment and to my existence in it. Juried Exhibitions 2013 Eccles Community Art Centerr Statewide Competition, Ogden, UT 2012 Southwest Contemporary Realism, Arroyo Gallery, Santa Fe, NM 4th Annual Juried Exhibition, Willard Arts Center's Carr Gallery & Blake Hall Community Gallery, Idaho Falls, ID 2011 Utah Watercolor Society Fall Show; Michael Berry Gallery, Salt Lake City, UT 2010 “Utah ’10: Mixed Media & Works On Paper”, Rio Gallery, Salt Lake City, UT Utah Watercolor Society Mini Show, Michael Berry Gallery, Salt Lake City, UT 2009 “35 X 35”, Work by 35 Local Artists under 35, Finch Lane Gallery, Salt Lake City, UT “Windows To The Divine”, Madden Museum, Denver, CO 2008 “Utah ’08: Painting & Sculpture”, Rio Gallery, Salt Lake City, UT Utah Watercolor Society Fall Show, Finch Lane Art Gallery, Salt Lake City, UT 2007 Salt Lake Community College President’s Art Show, Salt Lake City, UT 2006 Salt Lake Community College President’s Art Show, Salt Lake City, UT 2005 Traveling Exhibit with Utah Arts Council Utah Watercolor Society Spring Show, Eccles Community Art Center, Ogden, UT 2003 The Regional 2004, St. George Art Museum, St. George, UT Utah Watercolor Society, 2004 Fall Show, Park City, UT Eccles Community Art Center Statewide Competition; Ogden, UT New & Emerging Artists of Utah Show; Salt Lake City, UT 2003 St George Regional Art Exhibit; St. George, UT Eccles Community Art Center Statewide Competition; Ogden, UT 2002 Eccles Community Art Center Statewide Competition; Ogden, UT 2000 Eccles Community Art Center Statewide Competition; Ogden, UT Springville Museum of Art’s 76th Annual Utah Spring Salon; Springville, UT 1999 The Deseret News Landscape Art Show; Salt Lake City, UT University of Utah Student Show, Salt Lake City, UT One, Two, and Three Person Exhibitions 2012 “Hidden Nooks”, Solo Show, Sweet Branch Library, Salt Lake City, UT Solo Show, Red Butte Garden and Arboretum, Salt Lake City, UT “History of Hadley”, Solo Show, Crowley Gallery & Café, Ogden, UT 2011 Two Person Show, Phillips Gallery, Salt Lake City, UT Solo Show, Red Butte Garden and Arboretum, Salt Lake City, UT 2010 Two Person Show, Ogden Union Station, Ogden, UT Solo Show, Weber County Library, Ogden, UT 2009 New Oils and Watercolors by Hadley Rampton, solo show, Phillips Gallery, SLC, UT 2008 New Work by Hadley Rampton, Sweet Branch Library, Salt Lake City, UT One Woman Show @ Wolf Creek Gallery, Wilkerson Fine Art, Eden, UT 2007 Hadley Rampton & Dave Hall, Two Person Show, Phillips Gallery, Salt Lake City, UT 2006 One Person Show, Sagebrush Gallery, Ketchum, ID Two Person Show, Loge Gallery, Pioneer Memorial Theatre, Salt Lake City, UT 2005 One Person Show, Sagebrush Gallery, Ketchum, ID Two Person Show, Gallery At The Station, Ogden Union Station, Ogden, UT “Gamma di Colori”, solo show, Idaho Falls Arts Center, Idaho Falls, ID 2004 Hadley Rampton & Kathy Peterson, Two Person Show, Phillips Gallery, Salt Lake City, UT 2003 "Italian Watercolors", solo show, Cafe Molise, Salt Lake City, UT 2002 "Visions of Trees". solo show, Chapman Library, Salt Lake City, UT “Impressions“, solo show, Don Brady Drive Thru Gallery, Salt Lake City, UT “Watercolors & Oils”, solo show, Park Café, Salt Lake City, UT 2001 “Watercolors From Italy“, Avenues Arts and Wellness Gallery; Salt Lake City, UT 2000 “Wintry Willows”, Avenues Arts and Wellness Gallery; Salt Lake City, UT Group Exhibitions 2011 “Art In Pilar’s Garden”, Pilar Pobil’s Avenues Home, Salt Lake City, UT 2010 “Phillips Gallery Staff Show”, Harris Fine Art Gallery, Brigham Young University, Provo, UT Plein Air Event Exhibition, Evergreen Fine Art, Evergreen, CO. “Art In Pilar’s Garden”, Pilar Pobil’s Avenues Home, Salt Lake City, UT “Not Just Another Pretty Face”, Silent Auction, Salt Lake Art Center, Salt Lake City, UT 2009 Commissioned to paint piece for “Not Just Another Pretty Face”, Salt Lake Art Center Fundraiser, Salt Lake City, UT “21st Celebration of Art & Soup”, Sheraton City Center, Salt Lake City, UT 2005 “Grounds For Paint” group show, Phillips Gallery, Salt Lake City, UT Holiday Group Show, Phillips Gallery, Salt Lake City, UT 2004 Art in the Home of Patty Ashton, group show, Salt Lake City, UT Kris Wilkerson Fine Art, group show, Huntsville, UT Storefront Galleries, group show, Provo, UT “Art in Pilar’s Garden” group show, Salt Lake City, UT Coral Canyon Arts Festival, Coral Canyon, UT 2003 Six Person Show, Gallery At the Station, Ogden, UT "Floor to Ceiling" group show, Phillips Gallery, Salt Lake City, UT Group Show, Kris Wilkerson Fine Art, Huntsville, UT "Open Studio/Garden" group show, Symeon Colessides' Carriage House, Salt Lake City, UT Art in the Home of Patty Ashton, group show, Salt Lake City, UT 2002 "Over the Sofa", group show, Phillips Gallery, Salt Lake City, UT Patty Ashton's Holiday Group Art Show, Magpie's Nest, Salt Lake City, UT “BIG”, large works group show, Phillips Gallery, Salt Lake City, UT “Art in Pilar‘s Garden“, group show, Salt Lake City, UT Olympic Group Show, Phillips Gallery, Salt Lake City, UT Awards 2010 Juror’s Award, Utah Watercolor Society Miniature Show 2006 Juror’s Award, Utah Watercolor Society Fall Membership Show 1998-9 University of Utah President’s Award for Outstanding Scholastic Achievement 1998 Honors Society of Phi Kappa Phi 1995-9 Dean’s List, University of Utah 1994 George Fox Award for Outstanding Achievement in Fine Arts, Rowland Hall-St. Marks Publications 2013 Studio Visit, vol. 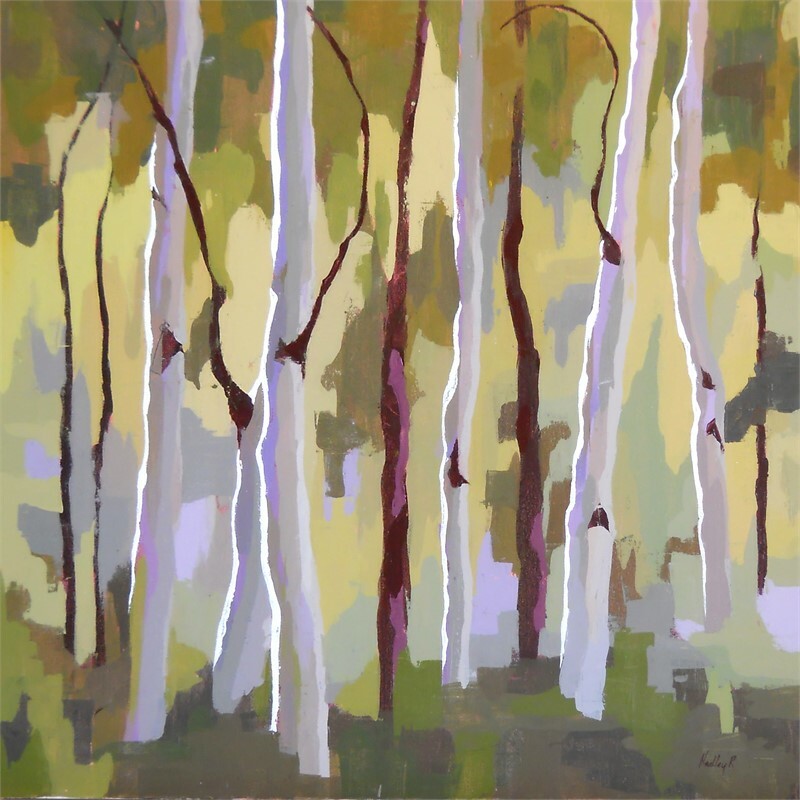 21, The Open Studios Press, p. 130-131 “Utah Artist of the Year”, Exploring TOSCA, Spring 2013, p. 47 2012 Fournier, C. L. “Into The Wild, Hadley Rampton’s Plein Air Painting; at Home and Abroad.” Utah Stories, August 2012, pp. 40 - 41 2009 Hawkins, Curt. “Artistic Engagement.” Artists Of Utah; 15 Bytes online publication, February 2009, p. 7 2008 “Hadley Rampton Presented by Wilkerson Fine Art at Wolf Creek Resort Gallery.” video, Ogden Valley Magazine.com., March, 2008. 2006 New Art International, A Compendium of Recent Works by World Contemporary Artists, Book Art Press, Volume X 2005 – 2006, pp. 106 - 107 2005 “Featured Artist.” Artists Of Utah; 15 Bytes online publication, October 2005 “21 Under 31.” Southwest Art Magazine’s Annual Emerging Artists Issue, vol. 35, #4 1999 Rampton, Hadley. “One Artist’s Investigation of Color”, Senior Honors Thesis, University of Utah Art Related Work Current Position: Fine Art Consultant at Phillips Gallery; Salt Lake City, UT 2007 – Present: Member of Utah’s Repertory Dance Theatre, (RDT), Board of Trustees 2007 Participated in “337 Project”, (Temporary Art House Collaboration), Salt Lake City, UT 2006 Official Juror, Salt Lake Arts Festival; Salt Lake City, UT 2003-2004 Board Member of Utah Artist Endowment Campaign Committee 1999 Commissioned Paintings for Shirley Chetwood, Boise, ID Mural work in home of Marybeth Stromberg; Salt Lake City, UT 1996 Book of Drawings Documenting Town Club’s Permanent Art Collection; SLC, UT Collections Wallace F. Bennett Federal Building, (Salt Lake’s Federal Building), Salt Lake City, UT Questar Gas, Salt Lake City, UT Aspen Transitional Rehab, Meridian, ID Rowland Hall – St. Mark’s School, Salt Lake City, UT Law Firm of Preg, O'Donnell & Gillett, Seattle, WA Rooker, Mohrman, Rawlins & Bailey, Salt Lake City, UT Jones Waldo Holbrook & McDonough, Salt Lake City, UT Ballard, Spahr, Andrews & Ingersoll, Salt Lake City, UT Hutchison & Steffen, Las Vegas NV Private Collections in Boston, MA; New York, NY; Denver, CO; Boise, ID; Sun Valley, ID; Oakdale, CA; Las Vegas, NV; Seattle, WA; Anchorage, AK, throughout Utah.